You must obtain an Alaska Dealers License Application from the Alaska Division of Motor Vehicles. The easiest way to obtain your Alaska Dealer Application is to call the Alaska Division of Motor Vehicles at 907-465-2320 and request a Dealer Application to be mailed to you. When you obtain your Alaska Dealer License Application, you will need to fill it out correctly without mistakes. If you have questions about the form, just call and they will gladly walk you through the Dealer Application step by step. When you have completed all the steps below, you will mail your Alaska Dealer License Application to the address above. Request your Dealer Application as soon as possible so you can start your AK Dealers License application process. In order to obtain your Alaska Dealer License, you must have a place of business to be used for the purpose of selling motor vehicles. You can locate your Alaska Car Dealership in any commercially zoned area that allows an automotive business. Be sure to check your local zoning laws to make sure you will be allowed to operate you business in your chosen location. You must keep all books, records, and licenses in your building at all times. If the State of Alaska wants to see your dealers license records, you must be able to produce these records at any time. Your place of business must contain a working telephone that is registered in your dealership name. The State of Alaska wants to make sure your customers are able to contact you at any time. Cell phones and cordless phones that reach from another building do not qualify. Remember, you must check your local zoning ordinances to make sure an automotive business is allowed at the location you have chosen for your Alaska Dealer License. You must have a display lot with room for multiple motor vehicles. This lot must be for the exclusive use of your business. You must make sure that any neighboring business's customer's vehicles are not parked on your lot. Any vehicles located on your lot must be for sale and the lot must have an unobstructed view from the nearest public street. All of the vehicles you hold for resale must be located on this lot. You are not allowed to sell or "curb" your vehicles at any location that is not listed on your Alaska Dealers License. You will need a permanent business sign. This sign can be on the exterior of the business building or erected on the display area. The sign must contain the name of your dealership and your hours of operation. The State of Alaska wants to make sure your customers know your hours of operation so they can contact you when necessary. The sign requirement must be met before you are granted and Alaska Dealer License. Before you get your Alaska Dealer License, you must obtain a dealer garage insurance policy. A dealer garage insurance policy covers you when you drive your demo's, it covers your customers when they are test driving your vehicles, and it covers you if someone falls and breaks a leg on your lot. You must have a dealer garage policy in effect before you obtain an Alaska Dealers License. Dealer garage insurance can also be very expensive. You can easily spend $200.00 per month for a bare bones liability policy and several thousand dollars a month for large comprehensive policies. Always get multiple quotes on dealer insurance because the cost varies greatly from agent to agent for the same coverage. One agent may charge $4,500 a year, while another agent may charge $1,500 for the exact same policy. Also, never let the sticker shock of dealer garage insurance quotes keep you from obtaining your Alaska Dealers License. As you become established, one good vehicle sale in January can pay your entire annual insurance premium. For a free quote on your dealer garage insurance policy, please go to the Dealer Garage Insurance page. When you apply for your Alaska Dealers License, you will be required to provide a dealer surety bond in the amount of $25,000. A dealer surety bond can be obtained by an insurance agent and protects customers against dealer fraud. If a dealer is dishonest, and sells vehicles with mechanical problems without disclosing them, the dealer will have many unhappy customers. 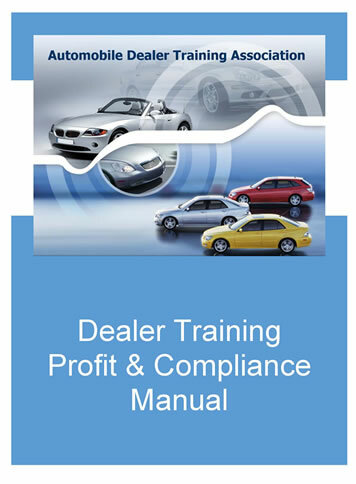 The more unhappy customers a dealer has, there is a very good chance the dealer can have their dealer license revoked. If the dealer is bankrupt and goes out of business after having their license revoked, customers can gain a financial settlement from the dealer bond. Don't worry, if you operate your Alaska car dealership with the highest ethical standards, you should never have a claim against your dealer surety bond. Dealer bonds are priced according to your credit scores. If you have good credit, you should be able to obtain a dealer surety bond for about $175.00 a year. If you credit is less than perfect, you may see much higher prices for your dealer surety bond. To get a free quote on your Alaska dealer surety bond, please visit the Dealer Surety Bond page. When you have completed the steps above you will need to call the Alaska Division of Motor Vehicles to make sure you are including all the necessary documents in your Alaska Dealer License Application packet. Always call them before mailing your dealer packet so you can also find out the exact licensing fees to obtain your Alaska Dealers License. The dealer license fees depend on the month of the year, along with the number of dealer license plates you request. Your check will need to be made out for the correct amount or your dealer license approval could be delayed by 4-6 weeks. Good Luck In Obtaining Your Alaska Dealer License!